At the same time, we also observe another lasting effect of e-commerce reviews—the profound impact they’ve had on how today’s consumers actually shop. From how consumers approach a purchase to their confidence in the buying process, here are the Top 7 ways e-commerce reviews have transformed consumers’ shopping behavior. Remember the days of feeling overmatched just by walking into an auto body shop or car dealership? Or trying to buy a stereo and having to translate “subwoofer-speak” from the guy behind the electronics counter? All that’s changed now that 71% of consumers check out reviews in specific categories (electronics, appliances, home décor, etc.) to see which product best meets their needs. Today, online reviews allow consumers to get up-to-date information and insights on products—even ones outside their comfort zone—and stand on an equal footing with retail sales teams. Back in the day, “comparison shopping” meant running from store to store to see whether that must-have refrigerator would actually fit through the kitchen door, or dashing between department stores to see which had the best price on those hot back-to-school sneakers. Today, before consumers ever begin shopping, 88% check out online reviews from their computers, and 87% look at e-commerce reviews both for brick-and-mortar and for online purchases—taking the legwork out of smart shopping. Before they hit the mall, consumers steep themselves in what discerning online reviewers think about the latest kitchen gadget or skincare product; they also rely on e-commerce reviews while on the go and shopping offline. Previous generations had no choice but to rely on top-down advertising messages when they needed to get “the scoop” on a new product. Today, consumers glean product insights straight from the source—consumers who have firsthand experience with those products. All too often, consumers may be eager to try out a new brand but hesitate out of fear it won’t fit into their lifestyle, meet their needs, or solve a particular challenge. However, with an e-commerce review, consumers can see—through first-person experience and perspective—how someone else viewed a potential purchase. Did the product perform the way the consumer expected? Was the fit true to size? Today, when making a purchase of an unfamiliar brand, 88% of consumers find online reviews influential. But what about brands consumers have already experienced? Now, 67% of consumers also find e-commerce reviews influential—even when they make purchases from brands they currently buy. With the prevalence of e-commerce reviews, we now see more and more consumers sharing their own brand insights and product experiences. 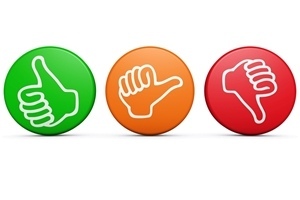 To help fellow consumers get a better sense of what to expect when considering anything from a new pair of running shoes to the latest flat-screen TV model, creating an online review becomes a natural part of the consumer experience. In fact, 87% of consumers say they often/occasionally post online product reviews, and 82% say they post most often when they have positive experiences.